Nancy is an experienced director, producer and cinematographer on both broadcast documentaries and award winning independent films. Her latest full-length documentary, Tattooed Under Fire, aired nationwide on PBS in 2009. “Hansel Mieth-Vagabond Photographer” premiered on PBS’ Independent Lens in 2003, and on the Australian Broadcast Corporation. She also directed History Man, a half hour profile on Martin Scorsese for BBC 4, London, 2004. 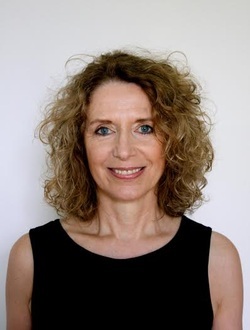 Nancy also comes with twenty years experience as a Director of Photography on over 30 documentaries and feature films broadcast for England’s Channel 4, BBC, ABC, National Geographic, and PBS. Nancy has filmed in Europe, the U.S, Africa, India, Pakistan, Iceland, and Latin America. She was nominated for a 2002, Television Emmy for outstanding cinematography on The Human Face, (producer John Cleese). Among her work as cinematographer is Barbara Sonenberg’s Regret to Inform,1998, nominated for an Oscar, and Pratibha Parmar’s and Alice Walker’s Warrior Marks, Channel Four, London. Her work as a narrative director includes Loaves and Fishes, which premiered in 2000 at the South by Southwest Film Festival, screened at the International Latino Film Festival in Los Angeles, and broadcast on PBS’ experimental film series “The Territory” in 2001. Nancy graduated from the Royal College of Art, London, with an MFA , and is a professor and teaches filmmaking and cinematography at the University of Texas at Austin. Hans-Martin Liebing is an award-winning independent film and television producer, screenwriter and director. He has worked on projects in the U.S., Europe, Asia and New Zealand, and is the co-founder of the South East European Film Festival's Film Frontiers Initiative, an international Film and TV incubator. He holds an MFA from the UCLA School of Theater, Film and Television and M.A. and Ph.D. degrees in Film Production, Media Studies and International Communication from the University of Texas at Austin. Hans produced PBS' Cactus Jack: the Political Legacy of John Nance Garner, directed by Nancy Schiesari. Kristina Roberson is a business entertainment professional with ten years of experience in producing, program development, and financing for film, digital media and programs in the nonprofit and for-profit sectors. Kristina has a particular interest in social business models, cause marketing campaigns, strategic planning, program development and business consulting. She began her career as a producer and partner with Austin-based TricksterFilms, where she co-produced the feature documentary, Weaving Worlds, funded in part by NAPT & ITVS, and airing on VisionMaker (PBS). Kristina Mann was also Program Director & Business Manager for the Austin-based organization, the Mobile Film School, and at Spiderwood Studios, a motion picture, music and animation studio east of Austin. Kristina holds an MBA from Texas State University and a B.S. in Radio-Television-Film from the University of Texas at Austin. She is currently working as co-producer on Canine Soldiers. Bill Minutaglio is the author of several critically acclaimed nonfiction books, including Dallas 1963, First Son: George W. Bush & The Bush Family Dynasty, The President's Counselor: The Rise To Power of Alberto Gonzales, Molly Ivins: A Rebel Life, In Search of The Blues: A Writer’s Journey to the Soul of Black Texas, and City on Fire: The Explosion That Devastated A Texas Town and Ignited A Historic Legal Battle, which was named by Esquire as one the “greatest” tales of survival ever written. It was optioned on publication by the actor Tom Cruise. Minutaglio spent 18 years at The Dallas Morning News as a senior writer/columnist. He covered strife in Central America, Eastern Europe, Mexico, the Soviet Union and the Philippines. He traveled with the Sandinista Army in Nicaragua, reported on the tearing down of the Berlin Wall and filed stories about the end of the Marcos regime in Manila. He worked as a national correspondent for The Sporting News and TALK, where he worked for editor Tina Brown. 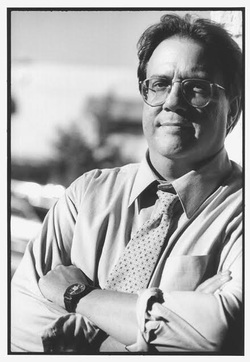 He oversaw People’s coverage of Hurricane Katrina, was a feature writer for The Houston Chronicle, arts editor of The San Antonio Express-News, and police reporter/columnist for The Abilene Reporter-News. In collaboration with writer and director Nancy Schiesari, Minutaglio wrote the script for the first major documentary film on the legacy of Vice President/Speaker of the House John Nance Garner. He has been featured on The Today Show, Nightline, NPR's "Fresh Air," C-SPAN/Book TV and in several documentaries. 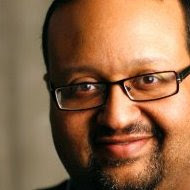 His work has been honored by The National Association of Black Journalists, National Conference of Christians and Jews, University of Missouri, National Headliners, Texas Headliners, and in three editions of the "Best American Sports Writing" annual anthologies. Laura Sobel has produced and written for PBS, A&E, Biography, Fuel TV and VH1/MTV Networks. She produced, directed, and wrote Cereal: History in a Bowl, a pop culture pilot for the History Channel that was subsequently extended to a 13-part series. As a development writer, her credits include film treatments and series proposals for PBS, HBO, National Geographic, Bravo, Discovery, Lifetime, HGTV, IFC and the Weather Channel. In addition to co-producing Tattooed Under Fire for ITVS, Laura has also taught documentary filmmaking workshops at DCTV in New York and at The Mobile Film School in Austin. With over 30 years in the industry, Alison Rooper is an award winning documentary film maker and executive producer working across factual programming of all genres. At Granada Television she worked with documentary film maker Roger Graef and on the historical documentaries of Brian Lapping. After joining the BBC’s Money Programme as producer/director, she went on to run some of the corporation's flagship programmes in science, documentary and current affairs including Tomorrow’s World (deputy editor), Children’s Hospital (series editor) and BBC4’s Profiles. She has produced a number of international co-productions as an independent producer including Massacre in Luxor (BBC, NHK) War Feels Like War, (BBC Storyville, POV), The Headmaster and the Headscarves, (BBC) and Suffragette CIty (BBC). She directed the Emmy nominated Doping for Gold for PBS’ Secrets of the Dead and the UK’s Five and the BBC’s Cell: The Chemistry of Life. Recently she has produced a number of series for the UK’s Community Channel and built a track record in short promotional films for the educational and non-profit sectors for UK and US clients. She was the executive producer on MO-TI’s Tattooed Under Fire. 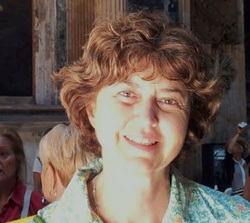 Anne Lewis is an independent documentary-maker and editor who brings a depth of experience to documentary storytelling. She recently served as senior editor on Cactus Jack, the Political Legacy of John Nance Garner, a collaboration between Mo-Ti productions and the Briscoe Center for American History at the University of Texas at Austin. Documentaries she produced, directed, and edited include: TO SAVE THE LAND AND PEOPLE (SXSW, Texas Documentary Tour) a history of a militant grassroots environmental movement; JUSTICE IN THE COALFIELDS (INTERCOM gold plaque) about the community impact of the Pittston strike; ON OUR OWN LAND (duPont-Columbia award for independent broadcast journalism) about the citizens' movement to stop broad form deed strip mining; and CHEMICAL VALLEY co-directed with Mimi Pickering (P.O.V., American Film and Video Blue Ribbon) about environmental racism and most recently, SHELTER (Honorable Mention, New Jersey International Film Festival) which tells the stories of 5 West Virginia women as they try to find freedom, justice and safety. Danny Levin is an American composer and performer whose career has spanned four decades. He began writing classical chamber music as a teenager, eventually mastering other styles including jazz, country and contemporary Americana. Adept at cello, violin (fiddle), and piano, Danny moved to Texas after graduating from Columbia University and began touring with western bands including Asleep at the Wheel - a collaboration that earned him two Grammy Awards. In the early 1990’s, Danny co-founded Tequila Mockingbird Studios in Austin, a venture that continues to build its reputation as one of the best in the region. He has produced hundreds of pieces for television and radio commercials, and works tirelessly as a record producer and arranger with numerous artists, in Austin and on the national music scene. Danny has also served as music supervisor and composer on several award-winning documentary and short film projects. Nidhi Reddy is a recent graduate from the University of Texas at Austin with degrees in Mathematics and Radio-TV-Film. Her short animation, The Yellow Wallpaper, was an official selection of the 2014 PBS Online Film Festival, 2014 Austin Film Society ShortCase, 2013 London Feminist Film Festival, 2013 Portobello Film Festival, and has received two grand prizes in student film festivals. She currently is working on several freelance projects, including her next animated short (tentatively titled) Rajas & the Wolf Girl. She is currently working for Mo-Ti productions on Canine Soldiers, a 3D documentary about Military Working Dogs and their Handlers that includes animated recreations of real events. See animated excerpt: https://www.dropbox.com/sh/9kob8u10hgeuydv/mox_n8aNV7 . Sandra Adair, A.C.E. is an award winning feature film editor who resides in Austin, Texas. Adair has enjoyed an ongoing artistic collaboration with film director Richard Linklater, having edited 18 films for him over the past 20 years, including the 2012 comedy Bernie and the critically acclaimed trilogy Before Sunrise, Before Sunset, and Before Midnight. In 2014, Linklater's Boyhood premiered at the Sundance Film Festival to rave reviews. Adair was nominated for an Eddie Award for Best Editing of a Musical or Comedy by the American Cinema Editors in 2003 for School of Rock, and won the Best Edited Documentary at the Woodstock Film Festival in 2012 for the feature doc Shepard and Dark, for director Treva Wurmfeld. Some of Adair's other credits with other directors include Everything Must Go, starring Will Ferrell, and the award winning documentary Sushi: The Global Catch. She is currently editing the feature film documentary, A Single Frame, with director Brandon Dickerson. She is a member of the Academy of Motion Picture Arts and Sciences and American Cinema Editors and continues to support and mentor new filmmakers in the Austin area. Sandra was the consulting editor on Tattooed Under Fire. Jason Eitelbach has spent the last ten years in Austin, TX creating space for unique cinema. Beginning with a key role at the Cinematexas International Short Film Festival, he gained experience delivering quality technical results with the smallest of budgets. An award winning cinematographer and University of Texas Radio-Television-Film alumni, his work has played festivals from Austin to Lithuania. Jason has developed advanced workflows for many films including his first feature MARS. Working with engineers at the Video Services Forum, Jason is creating a library of uncompressed “pristine” video clips used to test next generation encoding technology. He is currently working as 3D post production supervisor on Canine Soldiers. Computer-systems savvy media professional with over 16 years of hands-on experience, including managing projects and teams, video editing, long & short form writing. Skilled at leading projects from concept to completion. Excels at working in TV production environments of diverse languages, locations & crews. Currently working EIS for USPTO,DulceStudios in Washington, DC. Naiti Gámez is a NYC-based filmmaker willing to call anywhere "with a flexible approach to language" home. She has worked as a cinematographer & director on award-winning films and television series. Her film, Love, Sadie, screened in the Short Film Corner at the Festival de Cannes and was a Student Academy Awards semi-finalist. 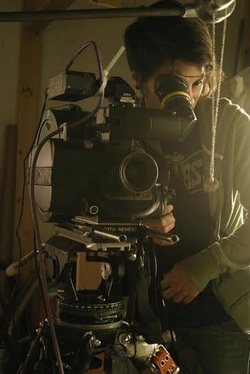 As a cinematographer, her film credits have screened at dozens of festivals worldwide, including Festival de Cannes, Sundance, Tribeca Film Festival, Clermont-Ferrand, SXSW, Festival du Cinema de Paris, Woodstock Film Festival and Hampton's International Film Festival. Her TV credits include HBO, Showtime, PBS, ESPN, MTV, Discovery Channel, and Animal Planet. Naiti has also worked at non-profit organizations in the U.S. and abroad. She holds a B.A. in Latin American Studies from Smith College, and an M.F.A. in Film Production (Cinematography concentration) from the University of Texas at Austin. Naiti was a cinematographer on MO-TI"s Tattooed Under Fire and currently working on Canine Soldiers. While attending Adelphi University and Brooklyn College, Chelsea interned with Emmy award-winning directors Ric Burns and Jon Alpert’s Downtown Community Television (DCTV). Chelsea produced multiple award winning student films during college, and earned a BA in Radio-Television-Film from the University of Texas. She was Associate Producer and Assistant Editor for the PBS documentary Fixing the Future: NOW on PBS, working under award-winning producers Ellen Spiro and Karen Bernstein. Her short, See the Dirt, won best documentary short at the Austin Film Festival, 2012. Chelsea has also worked under director Hector Galan for a six part television series entitled The Road from Christ to Constantine. Chelsea was instrumental in getting Canine Soldiers off the ground as editor on its grant award winning trailer. Chelsea is currently chief video editor on PBS' award winning series, Arts in Context, that airs on KLRU in Austin, TX, weekly. Public television broadcast consultant for documentary filmmakers and PBS stations. Creative, strategic, energetic. Films premiered include "Camp Victory Afghanistan" (Carol Dysinger & Jeffrey Levy-Hinte) .. "Tattooed Under Fire" (Nancy Schiesari) .. "The Black Kungfu Experience" (Lotus Films) .. "Jerzy Popieluszko: Messenger of the Truth" (Paul G Hensler, WTTW) .. "Tomlinson Hill" (Lisa Kaselak) .. "The Lost Bird Project" (Middlemarch Films) .. "Rebels with a Cause" (Kelly+Yamamoto) .. "Bonecrusher" (WriteBrain Films) .. "Joseph Campbell & The Power of Myth with Bill Moyers" (Al Perlmutter, David Grubin, Lynn Novick, Catherine Tatge) .. Associate Director of Broadcast and Distribution for ITVS on the set of "Austin City Limits"
Laura is a Media Studies PhD candidate in the Department of Radio-Television-Film at the University of Texas at Austin. Her research focuses on online practices of documentary filmmakers, including the use of Kickstarter, Facebook, and more. She has presented her work at major media conferences around the world, including South by Southwest 2013 in Austin, TX. 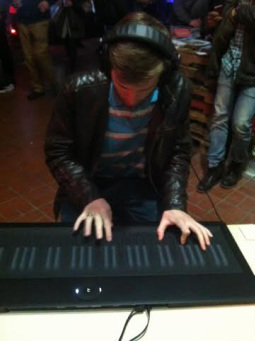 Vikrant began playing piano at the age of four and got serious about composing at the age of 16. While at the University of Texas at Austin, Vikrant honed his music skills under the mentorship of Gary Powell. He has composed over 20 original pieces and scored over 20 short films as well as "Canine Soldiers - The Militarization of Love". Along with music composing, he has written, directed, and edited three short films. Vikrant's entire music and film portfolio is available at: www.vikrantmuthusamy.com. Vikrant holds a BA in Music Recording Technology, a BS in Radio-Television-Film, and a Business Foundations Certificate, all from the University of Texas at Austin. Kristopher holds BS degrees in Radio-Television-Film and Communication Studies from The University of Texas at Austin and an MA in Media Studies from Western University. He currently lives in Toronto and teaches digital media courses at the college level while freelancing on the side. Kristopher is a preeminent researcher in understanding the relationship between the Internet and Popular Music. You can view more work from him at krko.ca. If you need website design or any digital media work done, contact him at krisohlendorf@gmail.com.